Use our free mortgage calculator to estimate your monthly mortgage payment, including your principal and interest, taxes, insurance, and PMI in Rhode Island. See how your monthly payment changes by making updates to your home price, down payment, interest rate, and loan term. Rhode Island, the Ocean State, has a strong housing market, boasting 6.1% growth in home values last year, but it is also a relatively expensive market, boasting the 13th least affordable cost of housing in the country. Most homeowners also spend about 22% of their monthly income on home expenses, more than in most states. While it is the smallest state by land mass in the country, tourists flock to Newport, RI, to see its large mansions. What rate will you likely qualify for?Get personalized mortgage rates. We’ll share an interesting insight here for key milestones in your payoff schedule. Get personalized mortgage rates from San Francisco, CA. Wide array of loan options with low origination fees for most loan types. Current rates in Rhode Island are 4.322% for a 30-year fixed, 3.787% for a 15-year fixed, and 4.155% for a 5/1 adjustable-rate mortgage (ARM). Start building your winning home buying team! Our partner, HomeLight, analyzes millions of home sales to identify the best performing agent. There are several national first-time home buyer programs that may be able to help you get into a home in Rhode Island. Taking U.S. Census data, NerdWallet has crunched the numbers to help you understand what property tax rate you can expect to pay on your future home in Rhode Island. Because assessed values aren’t frequently updated, you may pay a higher rate at first but eventually you’ll pay a similar rate. Monthly payment: What’s behind the numbers used in our mortgage calculator? A mortgage calculator used to look kind of like your grandfather’s cell phone. A bunch of buttons, a little screen and a lot of punching in numbers to get a result. The NerdWallet home mortgage calculator is different. 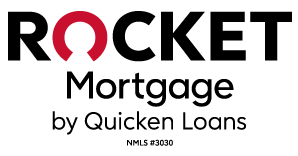 It can calculate your monthly mortgage payment in no time. Any good home mortgage calculator can do that. Even that big calculator stuffed in your grandpa’s shirt pocket. But an excellent mortgage payment calculator can do more. That’s why the NerdWallet monthly mortgage payment calculator also takes into account the additional costs — like taxes and insurance — that are included in your monthly payment. It’s called a PITI mortgage calculator, for principal, interest, taxes and insurance. We can also include HOA dues and PMI — private mortgage insurance — in your monthly payment calculation. A lot of folks forget to include all those costs and are frankly a bit surprised when their monthly mortgage payment turns out to be a lot more than they counted on. The formula working behind the curtain of the NerdWallet mortgage calculator takes that bit of uncertainty out of the picture. i = your monthly interest rate. Your lender likely lists interest rates as an annual figure, so you’ll need to divide by 12, for each month of the year. So, if your rate is 5%, then the monthly rate will look like this: 0.05/12 = 0.004167.
n = the number of payments over the life of the loan. If you take out a 30-year fixed rate mortgage, this means: n = 30 years x 12 months per year, or 360 payments. Determining what your monthly house payment will be is an important part of the “how much house can I afford?” decision. That monthly payment is likely to be the biggest part of your living overhead. How long of a home loan term is right for you? A 30-year fixed-rate mortgage will lower your monthly payment, but you’ll pay more interest over the life of the loan. A 15-year fixed-rate mortgage can reduce the total interest you’ll pay, but your monthly payment will be higher. Regardless of which term you choose, fixed-rate mortgages have interest rates that are locked in for the life of the loan. Is an ARM a good option? Adjustable-rate mortgages start with a “teaser” interest rate, and then the loan rate changes — higher or lower — over time. A 5/1 ARM can be a good choice, particularly if you plan on being in a home for just a few years or so. You’ll want to be aware of how much your monthly mortgage payment can change, especially if interest rates are trending higher. If you’re buying too much home. The NerdWallet mortgage payment calculator can help you take a reality check on just how much home you can afford, especially when considering your all-in costs, including taxes, insurance and PMI. Are you putting enough money down? With minimum down payments commonly as low as 3% these days, it’s easier than ever to put just a little money down. The mortgage payment calculator can help you decide what the best down payment for you may be. What are the monthly costs built into a monthly mortgage payment? Principal: Typically, this would be the home’s purchase price, less any down payment It’s the amount you borrow. If you’re buying a $500,000 home and put down $100,000, the principal would be $400,000. Interest: What the lender charges you to loan you the money. Interest rates are expressed as an annual percentage. Property taxes: The annual tax assessed by a government authority on your home and land. Mortgage insurance: If your down payment is less than 20% of the home’s purchase price, you’ll likely pay mortgage insurance. It protects the lender’s interest in case a borrower defaults on a mortgage. Once the equity in your property increases to 20%, the mortgage insurance is canceled, unless you have an FHA loan. Homeowners association (HOA) fee: This is paid by homeowners to an organization that assists with upkeep, property improvements and shared amenities. Can I lower my monthly payment? This is where a mortgage calculator can really bring some clarity to the home buying process: by helping you to work different payment scenarios. Extend the number of years for the loan. It’s called the loan term, something we mentioned above. As we said, your payment will be lower but you’ll be paying a lot more interest over the added years. Review your amortization schedule to see the impact of extending your loan. Buy less house. Obviously, taking out a smaller loan means a smaller monthly mortgage payment. Avoid paying PMI. By putting down 20% or more, you won’t have to pay private mortgage insurance. That can be another option to consider as you run “what ifs” in the mortgage calculator tool. However, if you’re looking at FHA loans, mortgage insurance can last for the entire length of the loan. Get a better interest rate. Putting more money down not only can eliminate PMI, but lower your interest rate, too. That means a lower monthly mortgage payment. Shopping at least three lenders can also increase your odds of getting a better mortgage interest rate. Can my monthly payment go up? If you have an adjustable-rate mortgage, as we mentioned above. If costs included in your mortgage payment, such as property taxes or homeowners insurance premiums, go up. And they will, eventually. If your mortgage loan servicer charges a late payment fee. Before you get the keys to your new home, you'll have to pay closing costs. Once you understand what they cover, they'll look less overwhelming. Mortgage preapproval is the smartest hack to homebuying and among the most misunderstood.​ Here's what lenders want before they'll preapprove you for a home loan. Coming up with the cash for a down payment is the biggest roadblock for most home buyers. Here's how to know how much you really need.